Dr. Gamal Serour, is the Director of the International Islamic Center for Population Studies and Research at Al-Azhar University. 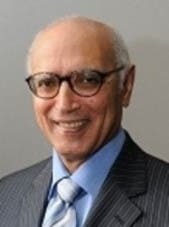 Serour, an Egyptian, was President of the International Federation of Gynecology and Obstetrics (FIGO) from 2009-2012. He joined the FIGO Ethics Committee in 1994 and became Chair in 2003.